There sure a lot of Freds in those jokes! Thanks, Bailey Jo! I think that may be my favorite, too! And yes, there are a lot of Freds. I think these jokes were written back before Jason and Justin and Jacob were popular names! 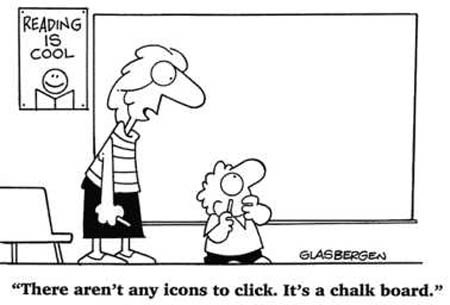 About that first cartoon -- there ARE Smart Boards now -- it has a touch screen so you can interact with your powerpoints etc and special pens you can draw/write on them with. So cool. I don't have one in my classroom but I did while I was student teaching. Whoa, Laura. Times have changed.